Sundays here are something special. 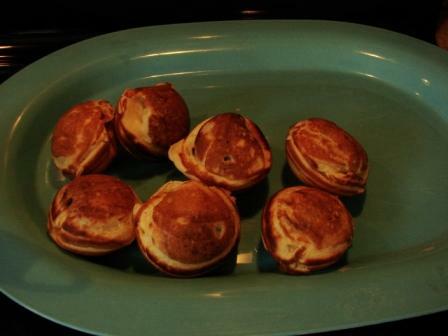 They are Aebelskiver Sundays. 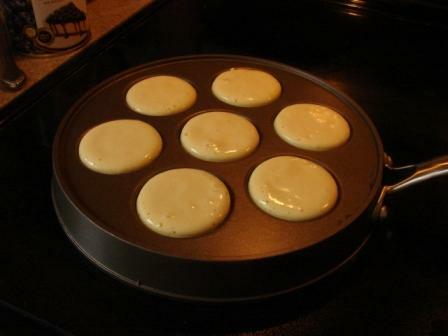 That means a big mound of small, fluffy, filled pancake puffs for brunch. Start with some batter, add some yummy blueberry pie filling and top with more batter (today I also did chocolate batter with white chocolate pudding for the filling). Yumminess! Personally I like to add a dusting of confectioner’s sugar as well. Next time you’re in the neighborhood on a Sunday, come by and have a taste. 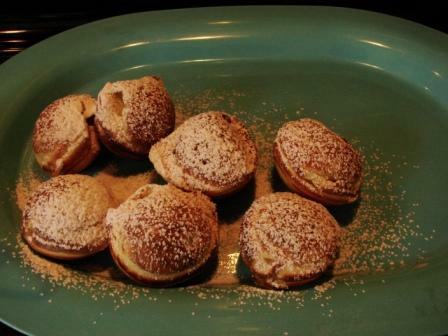 You’ll want to have Aebelskiver Sundays, too. Just come before Pippa gets too hungry. Last weekend that damn dog ate about 20 of them right off the kitchen counter. And you wonder why I am always threatening to make her an outdoor dog. 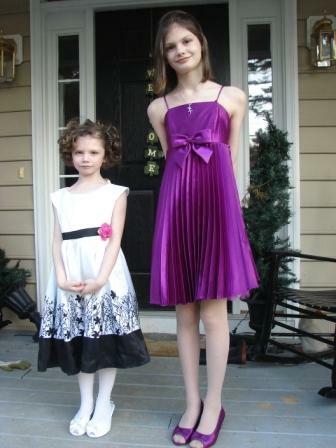 In other news……last night was the Girl Scout’s annual Father – Daughter Dance, so Neve and Emily got all gussied up. 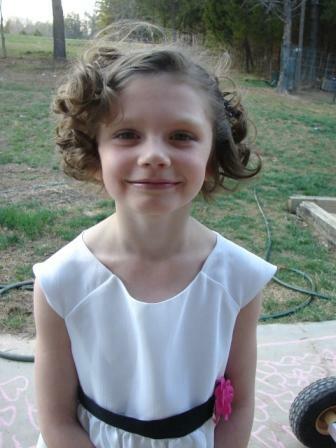 I spent an hour again this year curling Neve’s hair. She didn’t complain about looking like George Washington this time, though, thank goodness! And she doesn’t. 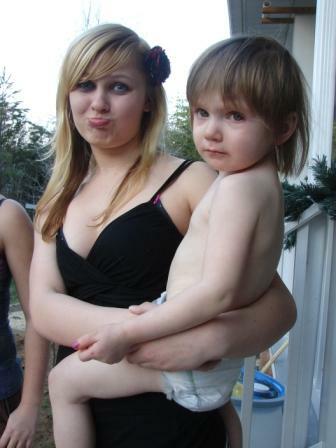 Just pretty little disgustingly photogenic Neve. 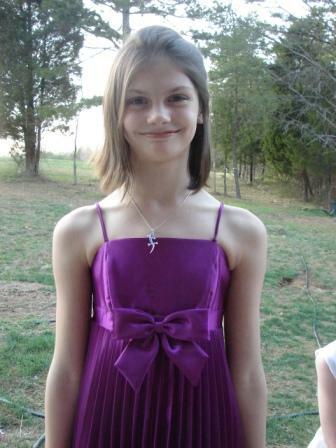 And Emily, who got her hair and makeup done by Maddie and Brittney (Maddie’s bud) this year. Proud papa. He who swore he could build me a goat shed and has yet to do so. Actually, he’s made it quite clear that it’s all up to me (who cannot use a power tool or do math for anything). Milkshakes will probably give birth on the cold, hard ground at this point. Or in the house. Maybe I’ll set her up in the living room. I can’t complain about him today though because he is taking my little sweet Oona obstacle with him this week to his mother’s house. 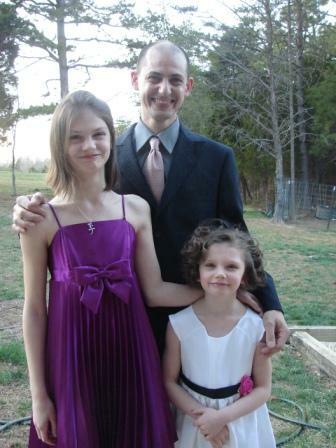 She wanted to go to the dance, too. 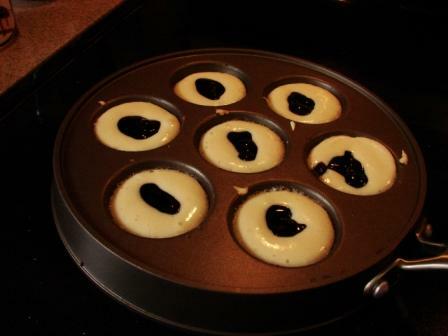 Oh man, those aebelskivers look DELICIOUS! Mmm.